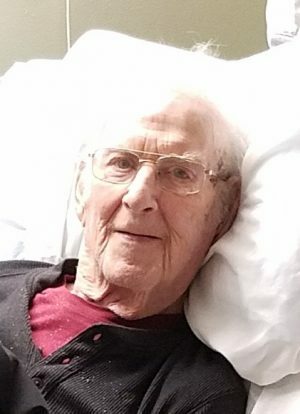 HANNIBAL, NY – William Zukovsky Jr., 89, of Sterling, passed away on Saturday, March 30, 2019, at Morningstar Care Center in Oswego. He was born in 1929, in Fulton, a son to the late William and Mildred Romanow Zukovsky. Bill was a veteran of the Army serving during the Korean Conflict. He enjoyed camping and watching NASCAR. Bill was predeceased by his wife, Helen; and daughter, Wendy Cooper. He is survived by his two children, Deborah (Andy) Watkins of Baldwinsville and William (Karen) Zukovsky of Oswego; five grandchildren, Jennifer, Matthew, Andrew, Elizabeth and Justin; seven great-grandchildren, Julia, Aiden, Abby, Maddison, Deanna, Matt and Addison; five siblings, Emmie, Marie, Clayton, Alex and Jack; as well as several nieces and nephews. A celebration of life will be held from 2 to 6 p.m. on Sunday, May 5, at The American Legion Post 1552, 172 Rochester St., Hannibal. Foster Funeral Home, Hannibal, has care of arrangements.